I finally finished Mitch Winehouse's heart-aching Amy, My Daughter. We all know that Amy Winehouse was a basket case, an addict, and a brilliant artist. Many people's first instincts might think her unraveling was the product of poor parenting. What was evident from this book is how hard it is to keep an unstable locomotive on track. 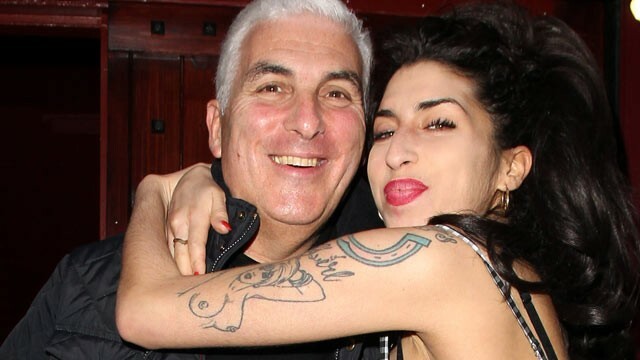 You might know Mitch Winehouse's backstory by now: Jewish London cab driver and sometime gig musician. He inspired his daughter and fostered her musical genius, he managed her money, and endlessly attempted to keep her mentally and physically healthy. But what's a father to do? Amy Winehouse was a superstar beyond a family's wildest dreams who inspired millions. She was also a very troubled adult who couldn't simply be kept under house arrest. He sent her to rehab (despite the song lyrics "If my Daddy thinks I'm fine"). He hired round-the-clock security to watch her. He kicked Amy's junky ex-husband's arse. He showed up at nearly every relapse, seizure, and meltdown (really more than you can count in the book) to help her come out the other side. At the end, it's your daughter. You always hope for the best, you always see your little girl, you put in all your love and trust into the one person who could never let you down. Winehouse really explains this throughout the book. He wanted to be a perfect Dad and a positive influence. Did he try to control too much? Not enough? It's hard for someone to know when it's your daughter. Most of his perspective is detailed in his reactions to situations and events, but occasionally he hits it right on the nose. "If I was stopped by someone in the street and they asked how Amy was doing, I knew they wouldn't understand if I told them what was going on. I'd learned that it's nearly impossible to explain how this could keep happening. I'd imagined that, as they offered sympathy, they'd be wondering, How can her family let this carry on? Or, Why didn't they lock her up until she was clean? But unless an addict wants to quit, they'll find a way to get drugs, and as soon as they leave the rehab facility they'll pick up where they left off. Long before Amy was an addict, no one could tell her what to do. Once she became an addict, that stubbornness just got worse. There were times when she wanted to be clean, but the times when she didn't outnumbered them." And Winehouse goes through the blame game. He doesn't hide his hatred for Blake Fielder-Civil, Amy's ex-husband who got her hooked on drugs in the first place. But after he was out of the picture, and drugs were kicked, alcohol addiction pervaded everything. And he knew there that only Amy was responsible for her deepening dependency. The story obviously has a tragic ending, but it is ultimately about a father's unending well of love and support for a daughter who rose so high and sunk too low. This Thanksgiving, give your daughter a big hug. But know you're going to have to let go.